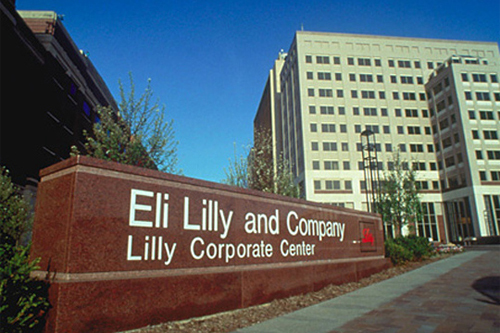 Eli Lilly is heading into the most prolific period in its 140-year history for new product launches, according to chief executive John Lechleiter. The US pharma company is hoping to launch 20 new molecular entities (NMEs) in the 2014 to 2023 timeframe, backed up by two new indications or line extensions each year, across its core therapeutic categories of diabetes, immunology, oncology, neurodegeneration and pain. Lechleiter noted that Lilly has launched six new products in the last two years alone - including Cyramza (ramucirumab), diabetes therapies Jardiance (empagliflozin) and Trulicity (dulaglutide) and most recently Taltz (ixekizumab) for psoriasis. The company said that its R&D efforts in diabetes are aimed at the development of differentiated therapeutics and delivery devices within "glucose control, metabolic control and end-organ protection". The company has high hopes for its phase II PCSK9 inhibitor - suggesting it could offer less frequent dosing than the two approved drugs in this class, Sanofi/Regeneron's Praluent (alirocumab) and Amgen's Repatha (evolocumab). It also highlighted nasal glucagon - currently in phase III - and GLP-1 agonist/glucagon combinations. Turning to oncology, Lilly said it is focusing on tumour cell signalling, tumour microenvironment and immuno-oncology. Top projects include PDGF inhibitor olaratumab, which was granted priority review by the FDA earlier this month for soft tissue sarcoma, and CDK4/6 inhibitor abemaciclib for advanced breast cancer and mantle cell lymphoma. Olaratumab will see its first marketing applications later this year, with abemaciclib filings due to start in 2017. Meanwhile, Lilly said that its immuno-oncology portfolio will have as many as 11 molecules in clinical development by the end of 2018, including five due to start trials this year. Lilly's neuroscience R&D portfolio is headed by its Alzheimer's disease (AD) programmes, which include seven candidates headed by AstraZeneca-partnered BACE inhibitor AZD3293, and has recently started phase III trials. In immunology, Lilly highlighted the recent filing of oral rheumatoid arthritis therapy baricitinib, armed with data showing it is more effective than market-leading, injectable TNF inhibitor Humira (adalimumab) from AbbVie. The selective JAK1 and JAK2 inhibitor is being co-developed with Incyte and heads up "a robust emerging pipeline of both internal assets and partnered molecules focusing on key pathways and interventions in multiple autoimmune diseases." Meanwhile, Taltz' approval in psoriasis is being followed by trials in psoriatic arthritis and axial spondylitis as the company tries to catch up with Novartis which was first to market with rival IL-17 inhibitor Cosentyx (secukinumab). In pain control - which Lilly views as an emerging R&D focus - the company highlighted galcanezumab, potentially a first-in-class CGRP inhibitor for cluster headache and migraine, as well as Pfizer-partnered NGF inhibitor tanezumab for osteoarthritis pain, chronic lower back pain and cancer pain. Both are currently in phase III testing. "We have improved the productivity and success of our pipeline through discrete actions aimed at enhancing focus, quality and speed, and by positioning ourselves as an attractive partner for external innovation opportunities," commented Jan Lundberg, president of Lilly Research Laboratories. "These improvements have led to the potential for unprecedented R&D output."